• Further investigations are underway into other consignments. • Although horses entering through a BIP are required to have 100% Document, Identity and Physical checks, there is no longer a requirement for tests on 10% of the consignment. • The Veterinary Health Certificate requires pre-export negative testing for EIA either 21 days or 30 days prior to export (depends on whether temporary or permanent). • The Coggins test is generally only considered to give a negative result if animals are tested (negative) twice, 90 days apart. • The UK has received several consignments of polo ponies from Argentina in the past few weeks and we will be investigating further. Mark Bowen, Senior Vice President of BEVA, stated, "The significant outbreak of Equine Infectious Anaemia in parts of northern Europe is a reminder that all those working with horses need to remain vigilant about exotic disease. However, the risk of spread through the native equine population in the UK remains very low. Post-importation controls and checks should help to limit entry of infected animals into the UK, but previous isolated cases that have been detected in the UK have not resulted in onward spread to other horses. 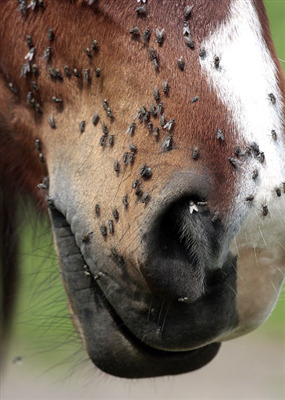 "Given that the primary route for spread of infection is through biting flies, separation of horses and use of efficacious fly repellants can further reduce risks. That does not mean that routine hygiene and biosecurity should be overlooked, since direct and indirect transmission via equipment is possible."